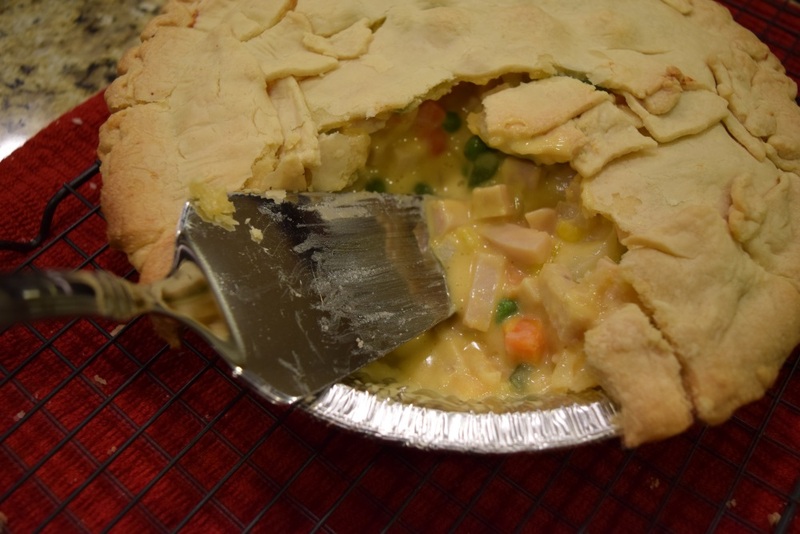 I decided to make this Zippy Turkey Pot Pie and it was Awesome! Preheat the oven to 400°. If you did not buy prechopped turkey (I did not, I got a turkey breast). Chop it up. 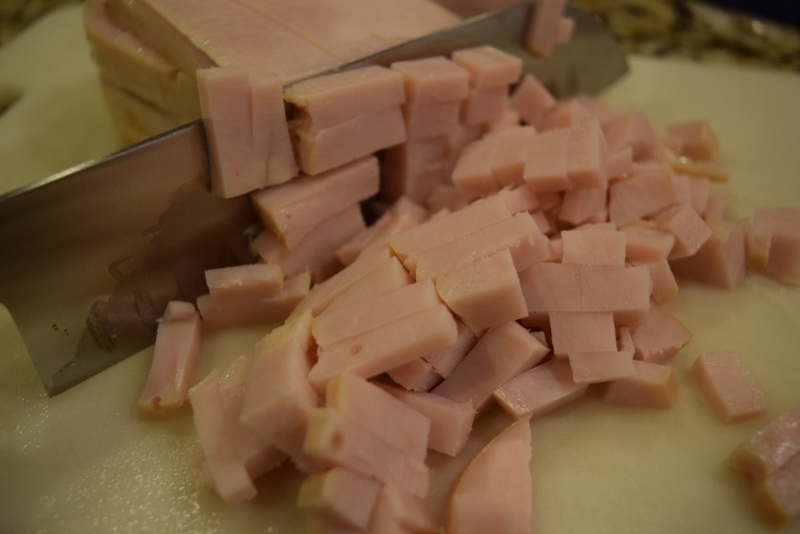 This is simple to do by cutting slices,then layering then to slice and dice into squares. Next, mix the milk and flour in a large microwavable bowl. Microwave it on high for about 3 minutes or until it is thickened. 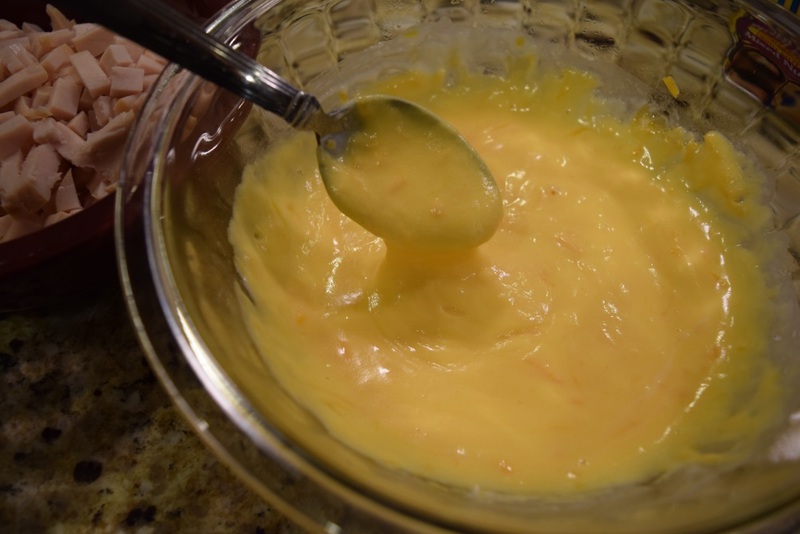 Then, stir in the cheese, microwave for one minute, and stir until it is well blended. 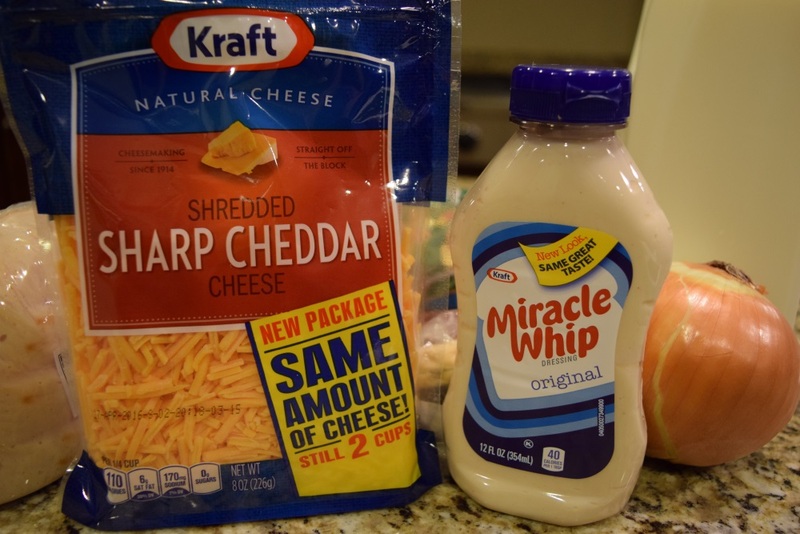 It will be a nice thickened cheesy mix. Stir in the turkey, mixed vegetable, and onion. The mix will be quite thick. 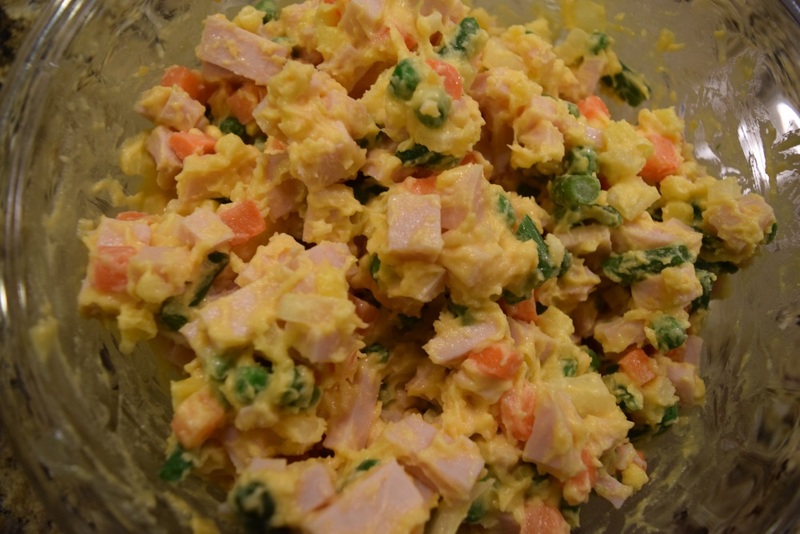 Spoon the mix into a pie crust and top with a second crust. I tend to be anything but gentle with pie crusts, so I promptly broke mine. If that happens, no worries! Simply piece it together, you need a few slits or gaps to let steam escape anyway. 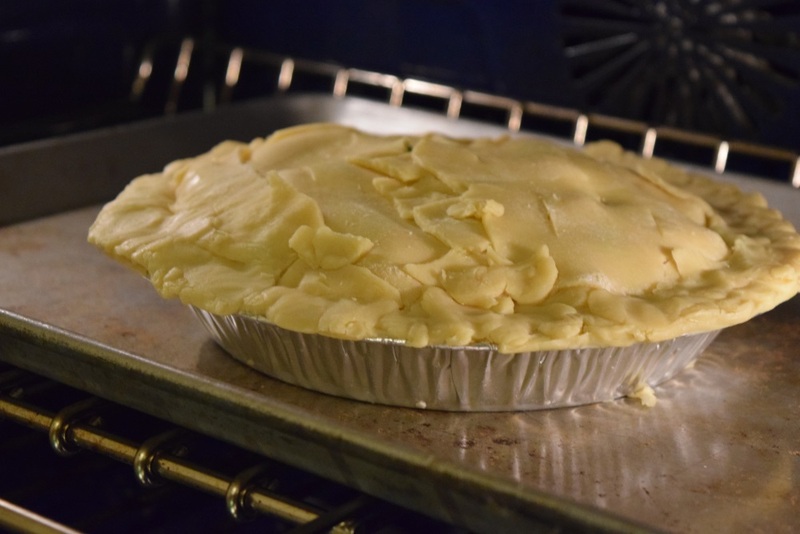 Be sure to crimp all of the edges together well to avoid the pie filling from bubbling out the sides. Cut a few slits in the top to vent the pie., then pop it in the oven to bake at 400°. Bake for about 35 minutes or until the crust is golden brown. Let the turkey pot pie stand for 10 minutes before serving. 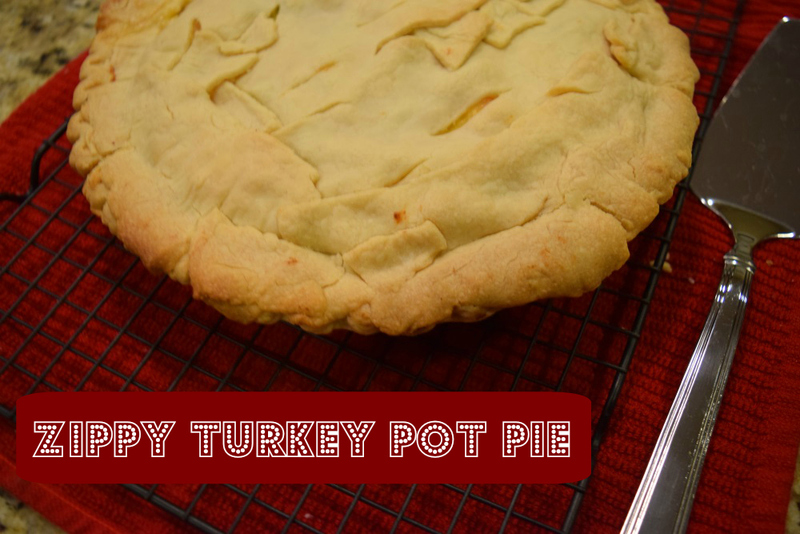 We LOVED this turkey pot pie! It had a delicious rich taste and indeed was “zippy.” My husband and I went back for seconds and were tempted at thirds!